Half way through earnings season, ORATS looks back at the stocks that have already announced and assesses the best signals for identifying excess options returns. Excess returns are the difference between the options market expectation of stock movement after earnings announcement and how much the stock actually moved. We look at the stock price moves after announcement compared to the options straddle price*. We observe the five factors and the options straddle price prior to earnings announcement and see if any were predictive. Four factors are related to stock moves after earnings announcement and one is the historical average options straddle price before earnings. 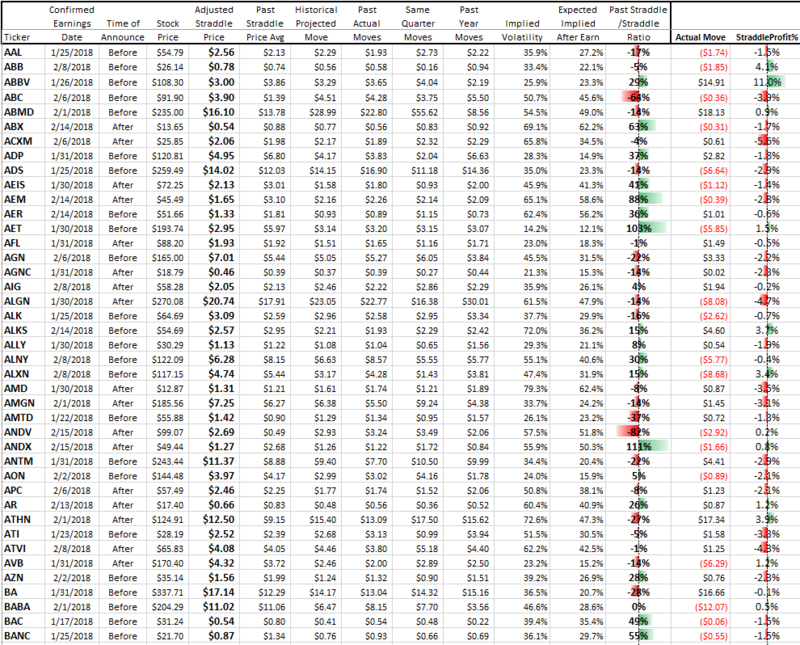 Moves are presented as dollar stock prices but made from historical percent moves. Same Quarter Moves is the median of same quarter Moves within the last 12 quarters. Past Year Moves is the average of the last four quarter Moves. The report includes tickers with stock price > $10, option volume > 1,000, implied volatility < 80%, and at least 2 years of quality options pricing earnings history. The report lists the historical pricing factors and the resulting actual move in the stock after earnings and what the profit% was for the straddle. For the 343 stocks that met the criteria, each of the above 5 observations were compared to the current options straddle price. If there was a difference of greater than 15%, a signal was created. Signals were either a buy or sell. If a buy signal resulted in a positive straddle profit%, then a win was recorded. For example, for AAL since the Past Straddle / Straddle was -17% a sell signal was generated and the resulting straddle profit% of 1.5% was included in the Return%. 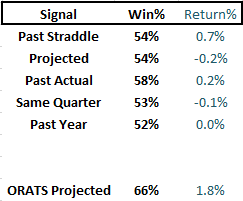 The results when tallied show the highest win rate for the ORATS Projected signal of 66%. Stated differently, for each signal 2/3 of the time the signal direction was correct. 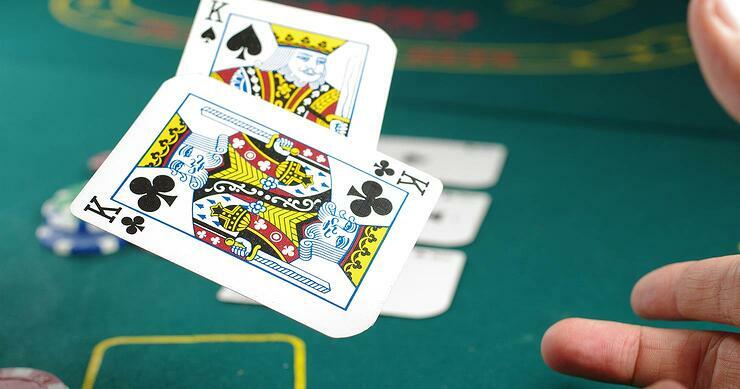 The average straddle profit% was 1.8%. The ORATS Projected signal is a proprietary signal combination of multiple factors and requires a subscription. The highest single factor win% is the Past Actual earnings moves at 58%. The highest average returns was the Past Straddle signal at 0.7%. The report Excel file can be downloaded HERE and PDF can be downloaded HERE. Subscribers receive the weekly report along with the ORATS Projected signals. Individuals may subscribe for $299.95 per month HERE. Institutional subscribers should contact us. *Note that when we mention "options straddles" we are referring to adjusted straddles. Straddles need to be adjusted to isolate the earnings announcement by taking out the non earnings premium. Isolating the portion of the straddle price to earnings announcement time, normalizes straddle prices so that straddles can be compared historically and to stock moves at earnings. ORATS adjusts the straddle by calculating an expected post earnings premium and subtracting that from the options straddle. The post earnings premium is calculated by creating a distribution of likely earnings moves and estimating the premium left in the straddle throughout the range of probable prices. (Please contact us for more details.) The same process is applied to three years of quarterly earnings straddle prices. ORATS (Option Research & Technology Services) is a premier options analytics vendor committed to uncovering untapped alpha-generating strategies through best-of-breed quantitative research, options-related data feeds, and customized options trading decision support solutions. 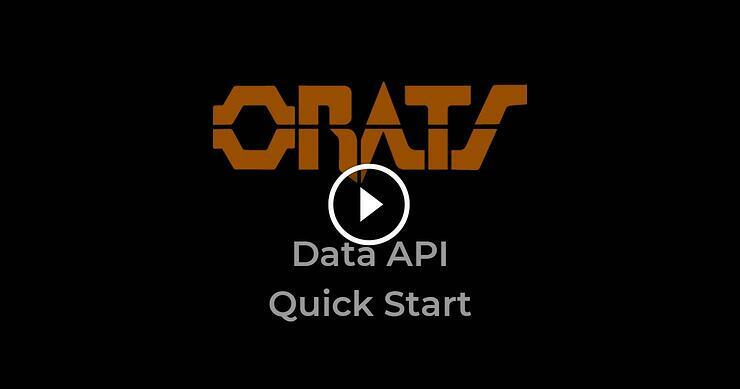 ORATS utilizes an advanced, proprietary volatility analysis to produce implied, forecast, and historical volatilities that have been proven to be more accurate market summarizations than those obtained from most commonly available sources.